PS. 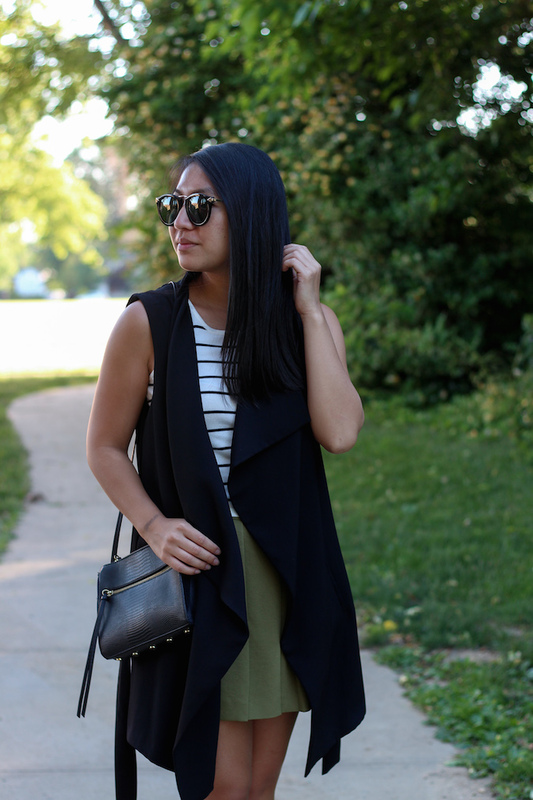 Get a free one-month subscription for luxury sunglasses via DITTO with the code LOOKSBYLAU. 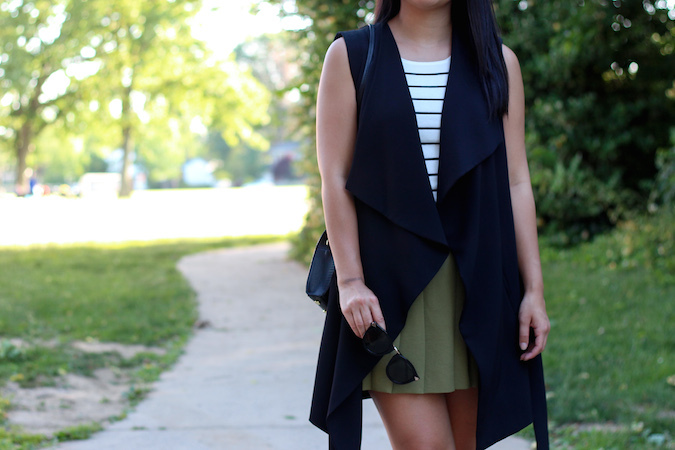 I love the cut of that vest, perfectly paired with skorts and sandals! Amazing look! Love the skort and the vest. ahh I'm so glad I don't really have an office dress code, I literally wear sweats to work sometimes. Anyway, you look great! I love this entire outfit, especially those adorable lace up shoes! Omg so jealous! I wish I could do the same! Gorgeous look! Perfect from head to toe! The skort is adorable! I remember wearing skirts as a teen. Yours is so lovely. I love the olive colour. Amazing look! I love that top. such a cute skirt i love it! Very chic and cute look.